A new Red Bike station has been added right next to the Brewery District streetcar stop. The Bengals will host their first home game of season this Sunday at Paul Brown Stadium. A capacity crowd is expected to fill the stands, and city leaders are looking to provide a variety of options for fans to easily get to and from the game safely. One of those options includes the newly opened Cincinnati Bell Connector. 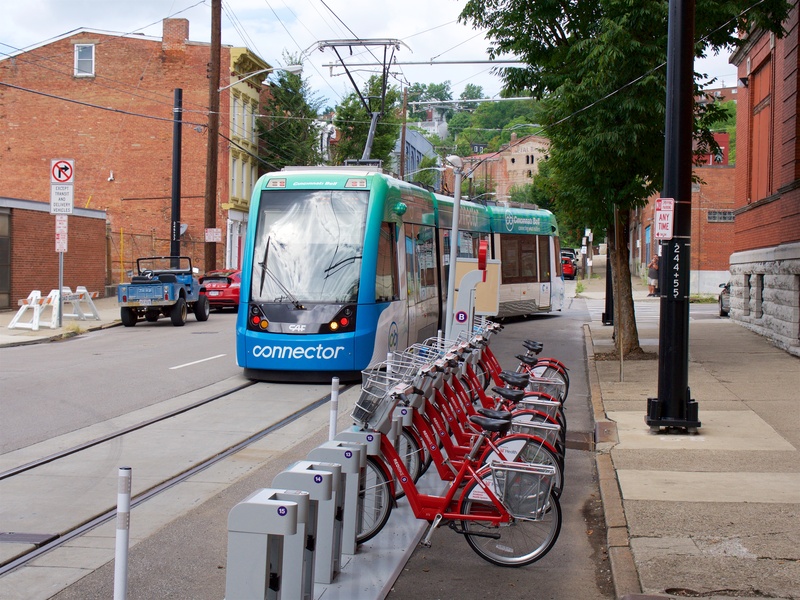 Operating from the northern reaches of Over-the-Rhine to The Banks – just two blocks from Paul Brown Stadium – the streetcar vastly expands the reach of those walking to the game from their home or from their car. As such, City Hall is offering a first-of-its-kind parking special at the Town Center Garage on Central Parkway. Located within two blocks of two different streetcar stations, parking at Town Center Garage will be offered for just $10 on game days; and the first 100 cars will receive four free streetcar passes. “The Town Center Garage is a natural extension of game day parking options, and its proximity to two streetcar stops makes it a natural fit for fans looking to save money and avoid game day traffic,” said Oscar Bedolla, Director of Cincinnati’s Department of Community and Economic Development. 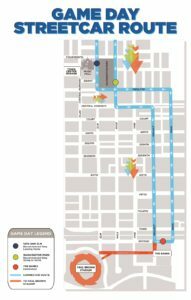 City officials are encouraging fans to come early on game day to enjoy all the offerings along the Cincinnati Bell Connector route, including the tailgate party at The Banks, watch party on Fountain Square and numerous bars, restaurants and shops throughout Over-the-Rhine. The first weekend the streetcar was open saw more than 50,000 riders take advantage of free service. The second weekend, which coincided with Oktoberfest Zinzinnati, saw more than 29,000 riders pay to ride the Cincinnati Bell Connector. With large crowds expected at the Bengals game and MidPoint Music Festival, another large number of riders is anticipated for this weekend. In addition to the parking special and streetcar service, Metro has again partnered with Miller Lite to offer free rides on Metro bus service from 7am to midnight this Sunday. While the special partnership is an effort to cut back on drunk driving, it also offers Cincinnatians a good chance to check out Metro bus service for free – not just going to the game, but anywhere on Metro’s regional system. The Bengals (1-1) will take on the defending Super Bowl champion Broncos (2-0) this Sunday at 1pm along the central riverfront at Paul Brown Stadium.